*Starting from: $165.00 *Price may update with selected options above. 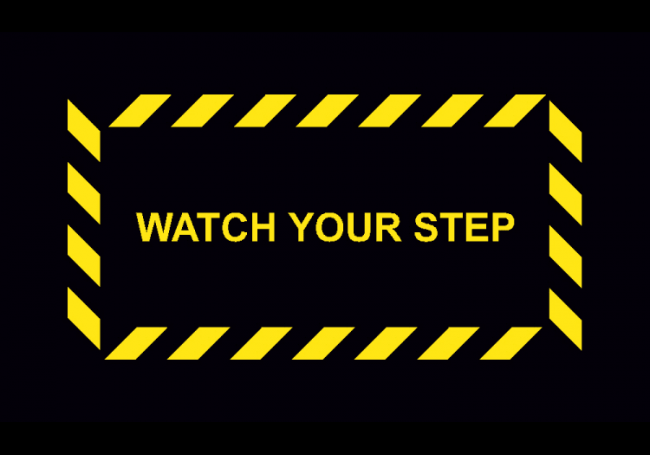 Watch Your Step II Message Mats are manufactured using 100% Nitrile rubber for a sturdy slip resistant surface. Rubber Scraper Mats aggressively scrape dirt and squeegee moisture from the bottoms of shoes. The raised cleat design allows for dirt and debris to fall below the surface of the mat keeping the cleats working efficiently. Watch Your Step Message Mats display a vivid message to those walking upon it while providing the function and effectiveness of a durable entrance mat. 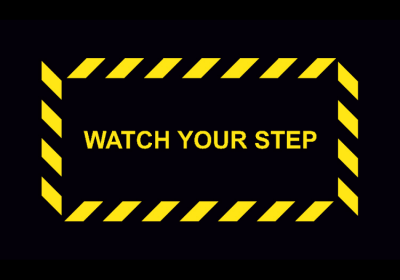 Watch Your Step messages are thermo bonded to our traditional rubber scraper mats using a large German made heat press for long-lasting, wear and tear performance. Message guaranteed not to fade away or scratch with normal use. Perfect for: construction sites, work areas, factories, mechanical rooms, laboratories, and many more indoor and outdoor facilities. 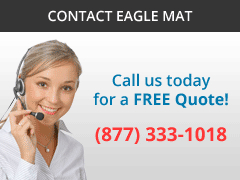 Commercial-grade, slip resistant rubber backing. Comes 1/4” thick, low profile for any doorway. Easy to clean by hosing off or ask about our commercial laundering service!